They are April's winners of the $100.00 USD for entering Home Porch & Patio Kit's picture contest! I am really sorry that it has taken me so long to forward pictures of our finished backyard. Everything was pretty much completed by mid-January and we could not be happier with the results! We have really enjoyed spending the spring on the patio watching our daughter play in the backyard. This is something that we could have never done before. My wife is SO very happy with the cover. She is the one that was pushed for an insulated cover and she definitely made the correct decision! May's winner of the $100.00 USD for entering Home Porch & Patio Kit's picture contest! 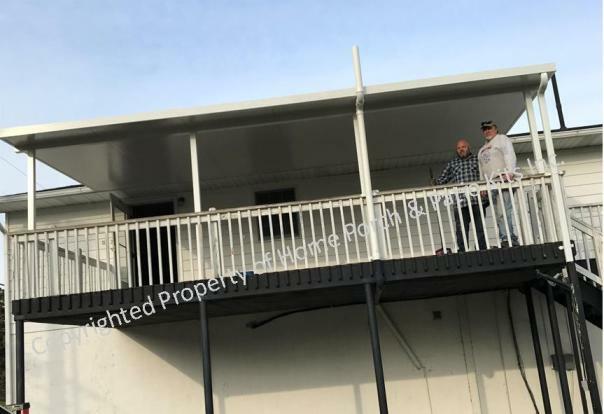 Attached is a picture of the completed patio/porch cover that was purchased from your firm to replace one that had been destroyed during a storm. The quality of the cover/product and the ease of installation was outstanding. During installation, one of the panels was discovered to be 2" short. I called my representative at the company and he called the manufacturing plant, had them make a new panel and they shipped it to Kentucky from Alabama in 2 days! They were wonderful with which to do business. June's winner of the $100.00 USD for entering Home Porch & Patio Kit's picture contest! Just so you know, you have one very happy customer here! We love our deck roof! After the learning curve, we were on our way! Thanks for replying to my questions! Very helpful! See attached photos you may use if you see fit! July's winner of the $100.00 USD for entering Home Porch & Patio Kit's picture contest! Mr. D was very glad to make use of the 'fan beam' option which can be installed in either 4' wide or 2' wide panels. 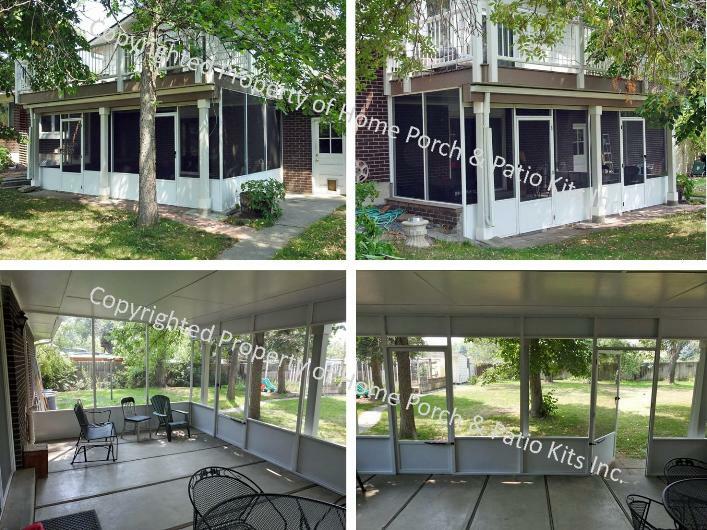 August's winner of the $100.00 USD for entering Home Porch & Patio Kit's picture contest! Now that the patio screening is finished, I neatened the area and took photos. These attached photos are reduced to 40 percent of the original dimensions for easier transmission by email. You may request the original versions. Notice that for one scene shot from the interior I had the door opened. That shows the amount of darkening of the view (only 10 percent?) compared to no screen. We are pleased with all features of this installation. You may use these photos for your business documents and demonstrations of your work. 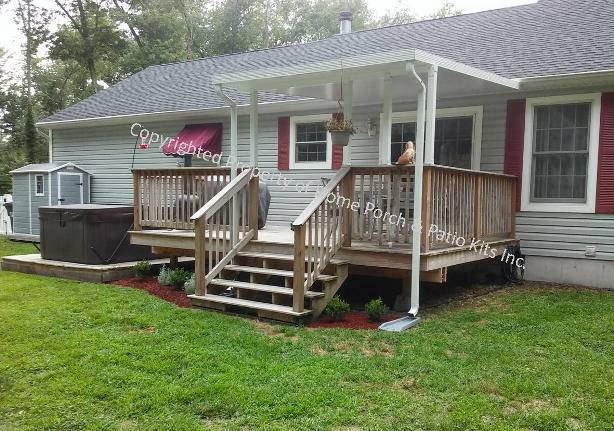 September's winner of the $100.00 USD for entering Home Porch & Patio Kit's picture contest! Send your pictures & say a few words. You could be the next $100.00 winner!